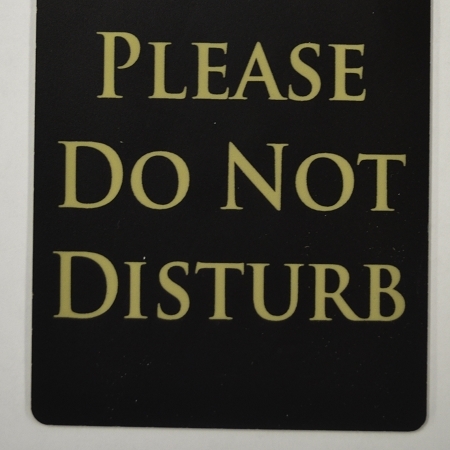 Lets people know not to disturb you, with a professional look. 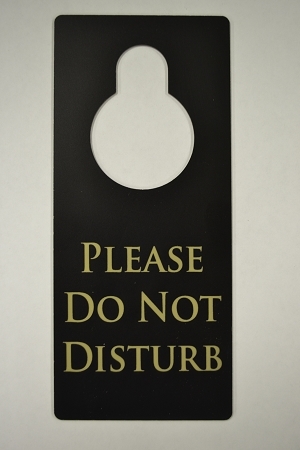 Executive quality black plastic door hanger with gold text lets people know in a professional way that you would like to not be disturbed. 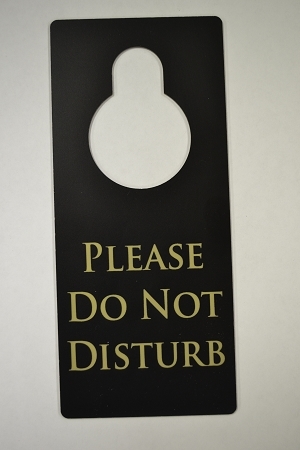 Door hangers have 2 inch hole for normal sized door hangers. Professional Quality Door hangers.